SPOILER ALERT: This text is studied in Standard English for the HSC. I think that this book is an outstanding piece of craftsmanship. It is starkly original, portraying the story through the perspective of a boy with Asperger’s-like characteristics. The unique outlook on the world give peculiarity and interest to the most mundane events. It is so clever, if not entirely irritating at times. 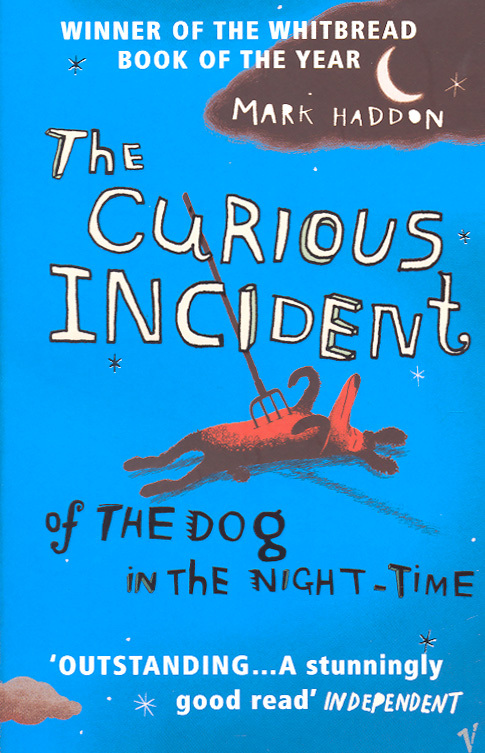 Haddon makes a shockingly believable character and casts his readers into a world of insecurity, confusion and mathematical genius while developing empathy and understanding. A book about families, trust, the value of truth, the complexity of lies and the all-important quest for independence like no other. Quite a lot of course language and complex themes. Recommended for readers aged 16 and up. 4 1/2 stars.